Some of you may not know that by trade, I’m an Industrial Designer (aka Product Designer). 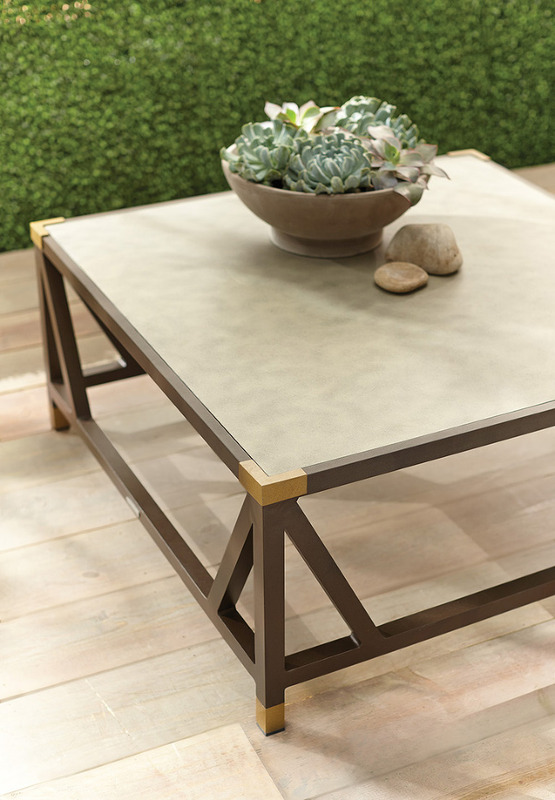 I design outdoor furniture and accessories for Brown Jordan. We make specialty furniture and also design and manufacturer for some of the big name-brand retailers. 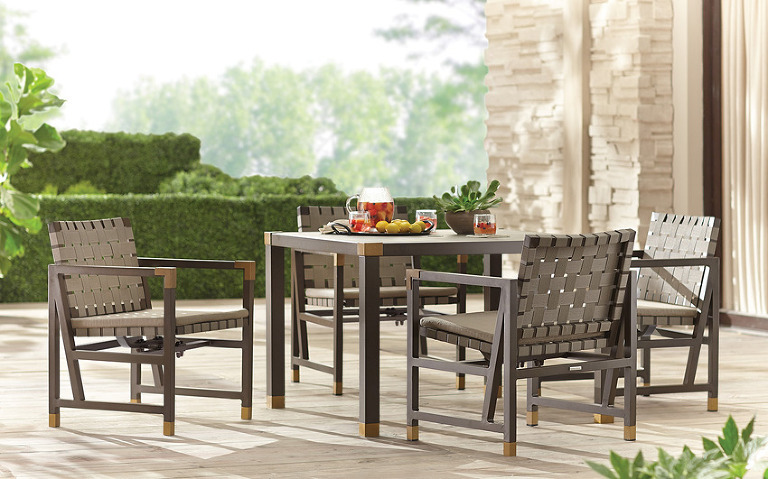 If you’ve ever been in the market for patio furniture, you’ve probably seen some of our products! One of my most recent designs is a collaboration with Brown Jordan and The Home Depot called Form. This was such a fun collection to design, because my typical design style is more traditional/transitional, and maybe a tad feminine. This collection was a nice departure for me into something more sleek and modern. I love all things mid-century and some of the styling and elements of this collection have undertones of that era. The faux burnished brass accents are my favorite element and were really fun to develop, I think it adds warmth to the collection and lends to the vintage-inspired look. Here’s a little behind the scenes of the design process posted on the Brown Jordan Blog. I know it’s really hard to think about patio furniture right now when it’s below zero here but spring will be right around the corner (I hope). The Form collection along with five other Brown Jordan collections are available now – check them out in stores and order online (free shipping!!). 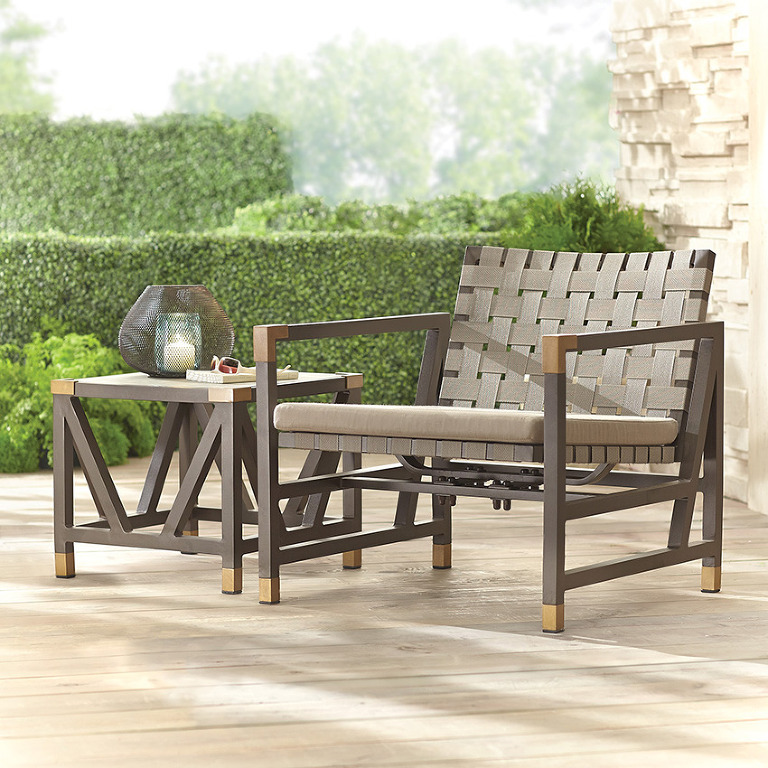 Stayed tuned for future posts on patio furniture picks and styling ideas! I’m helping a friend put some options together for her patio this summer – check it out at the end of post. So much fun! Photos courtesy of Brown Jordan. I love how all the styles and elements of furniture work together effortlessly and the added pops of orange and blue. Oh and the kids Tamiami chairs (upper left) I’m dying over these and all the fun color combos!